Random screenshot as I was testing a new area. Looks great! The sandstone walls fit very well. Such dark areas can feel very spooky as the darkness will creep back over explored squares again (unless they are in light). Party portable torch (hotkey: T, after party picked up a torch type item) allows the party to see through the darkness nearby. 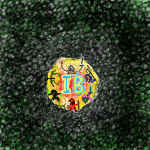 The effect is rather blocky though, so it is not that visually convincing maybe. Nonethelss, I have quite some fun with it here when it comes to really dark and dangerous environments. I haven't had a chance to play around with the light system yet, but that would be neat. It's one of the things I would like to get around to testing and seeing if I can make it work for the module. This should be the end of the tunnel. One more progress report, and I expect to be ready to post the new module. Over the last month, some polishing work included taking time to find some better item icons. This came about because the default images I have been using did not include a hammer. So I finally did some searching and found an icon set that had hammers I am happy with. One thing led to another, and I end up replacing a fair number of weapons, mostly special types the player will be upgrading to. I still have the default icons for basic equipment, like short and long swords. Eventually I should get around to changing these as well. Armor proved to be a little more tricky. I did find an icon set for a few pieces. Again, this will be reflected primarily in the later magic gear the party finds. I have two characters who wield hammers. In the screenshots below, it shows the new look of these weapons. 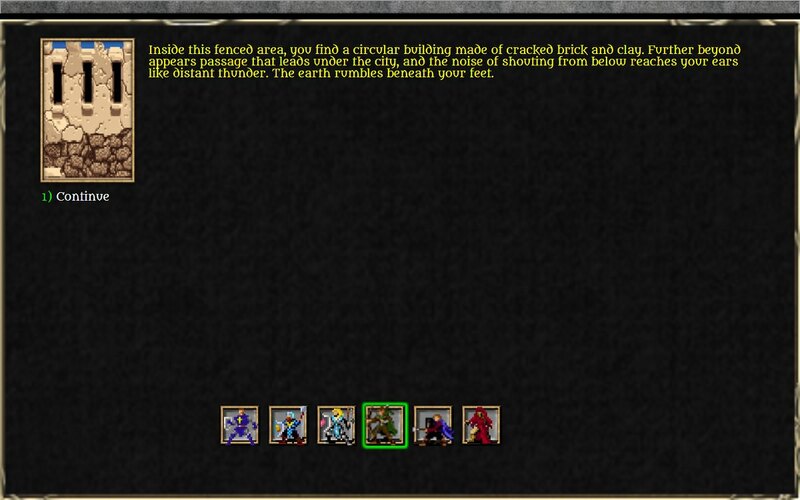 Also note, the appearance for special plate mail and chain mail. Here is an example of emergent design. This is one of the final events I added in May. 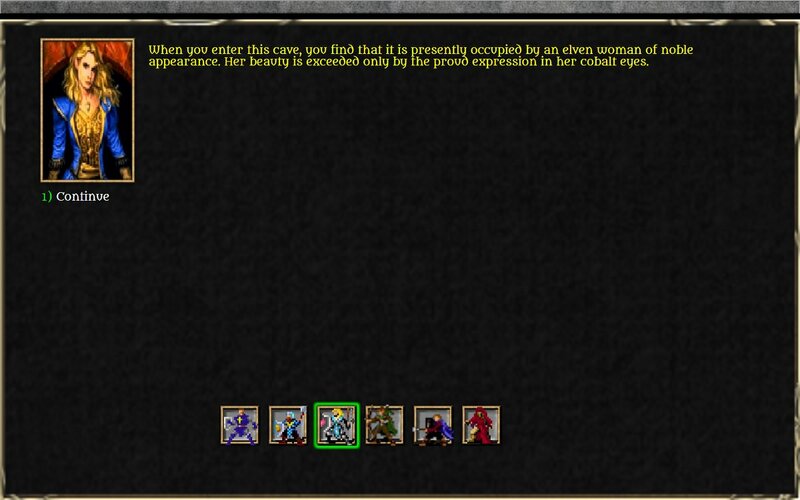 I had been planning for a while to place an NPC encounter on this wilderness map, but had not thought it would be an elf woman until I came across the portrait. And then suddenly everything fit together, with a bit of backstory and the opportunity to talk about the lore behind the elves in Hearkenwold. And, yes, there is now is an arena for the party to fight in! I would like to give a tentative release date of two weeks from today, June 16. Just a few finishing touches remain, like assigning the music files to all the new areas. Awesome! Super excited to start another run from the beginning here and try out all the new content and systems (thanks Karl) with a fresh party. Great news there ! The new screens look amazing, especially the new hammers look mighty fine. I will do fresh start, too, upon next release and really look forward to doing so! One of neat things, I think, is that existing saves from the IB2 version 21 that is the last I posted for download, will still carry over all the way through to the version 105 that I am working from. 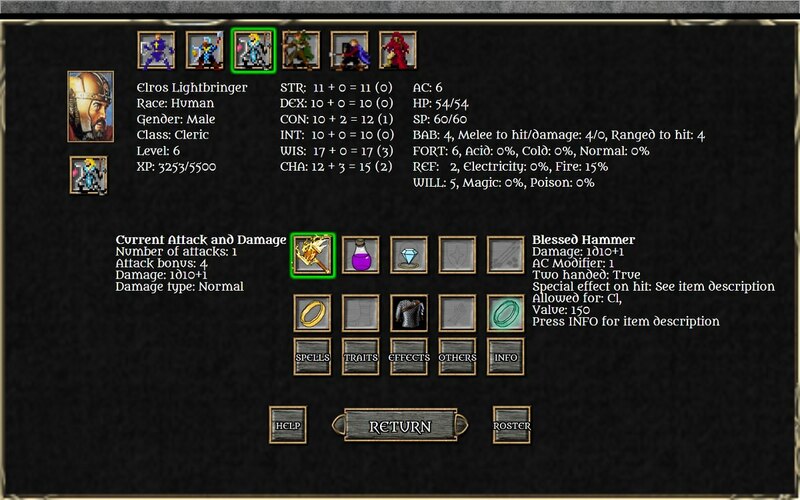 Most of the testing I have done has been with the party that completed version 21, consisting of level 5/6 characters. I think it should be possible to gain a couple more and hit level 8, again depending on how much content is consumed. But starting at the beginning of the adventure might not be so bad, to see the changes I made to the early areas. Plot's still the same, though, so I hope you don't mind going through the motions again! Hearkenwold is one of those modules that I enjoy replaying from the start. It was put together well and is still challenging to try different party configurations. Especially will be fun to play with the new systems Karl has been adding. One of neat things, I think, is that existing saves from the IB2 version 21 that is the last I posted for download, will still carry over all the way through to the version 105 that I am working from. 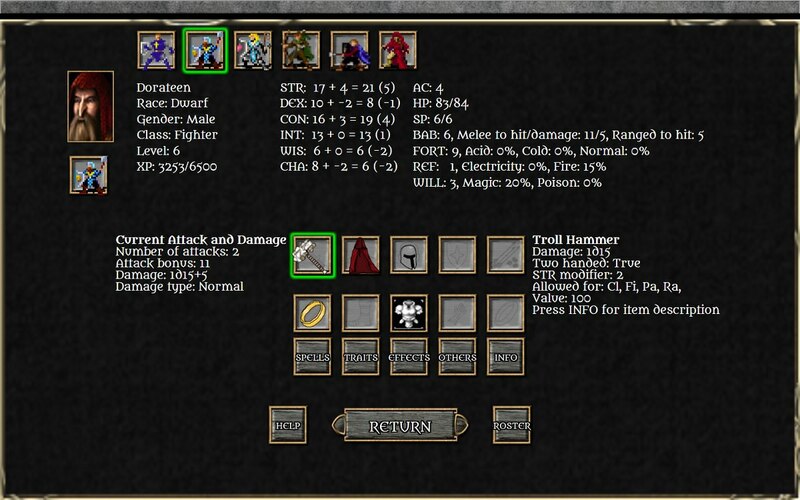 Most of the testing I have done has been with the party that completed version 21, consisting of level 5/6 characters. That is really great to hear. One of the goals form the very beginning was that long running campaigns are supported, allowing expansions to use the existing savegames and this way enabling a perpetually growing world. Hearkenwold is a glowing example of this. It will be with great pleasure (and as compelx as it is by now, I am sure to find the one or other secret I missed last time). I look forward to see the new stuff in action, too. It is vital that new systems are used in authors' adventures as I think it's impossible to find all bugs solely based on my own limited testing. Also, when playing a real adventure it becomes much more obivous which new systesm are fun and work well and which arent/dont (and which further improvements might help). Its good to hear about the imminent release! I have a party of dwarves standing by. I rolled them a while back but I've been waiting for the update. I'm looking forward to seeing how they get on!